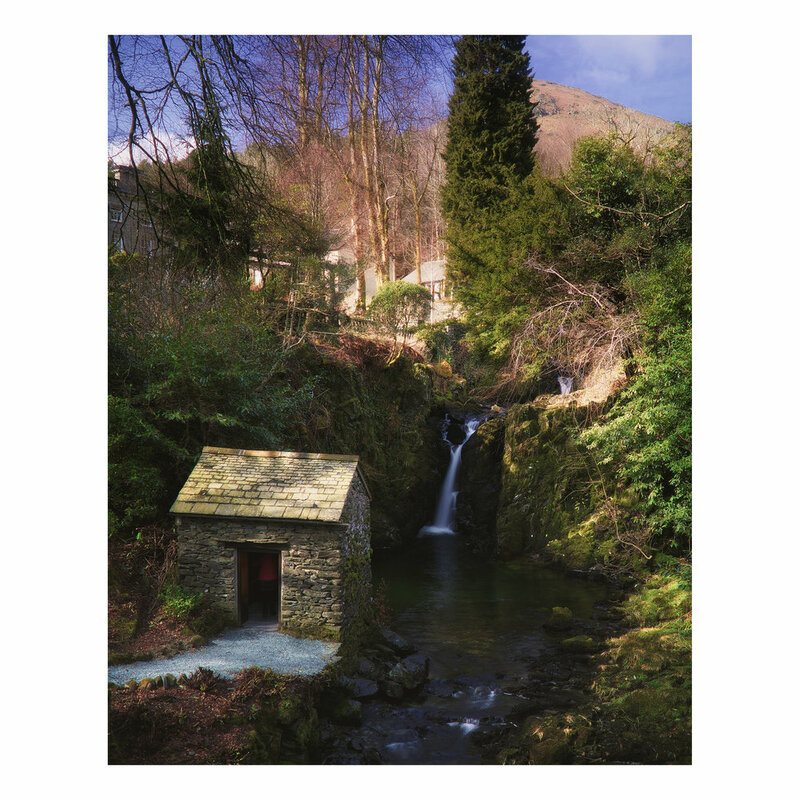 The small hut in the photo above is known as The Grot, or the grotto, built in 1668 by a Sir Daniel Fleming in the grounds of Rydal Hall. It was designed as a viewing station—one of England's earliest specimens—to gaze at Rydal Falls. Legendary poet William Wordsworth was fond of taking trips to the Grot. Rising above protectively is the bracken-covered Rydal Fell (621m/2037ft). 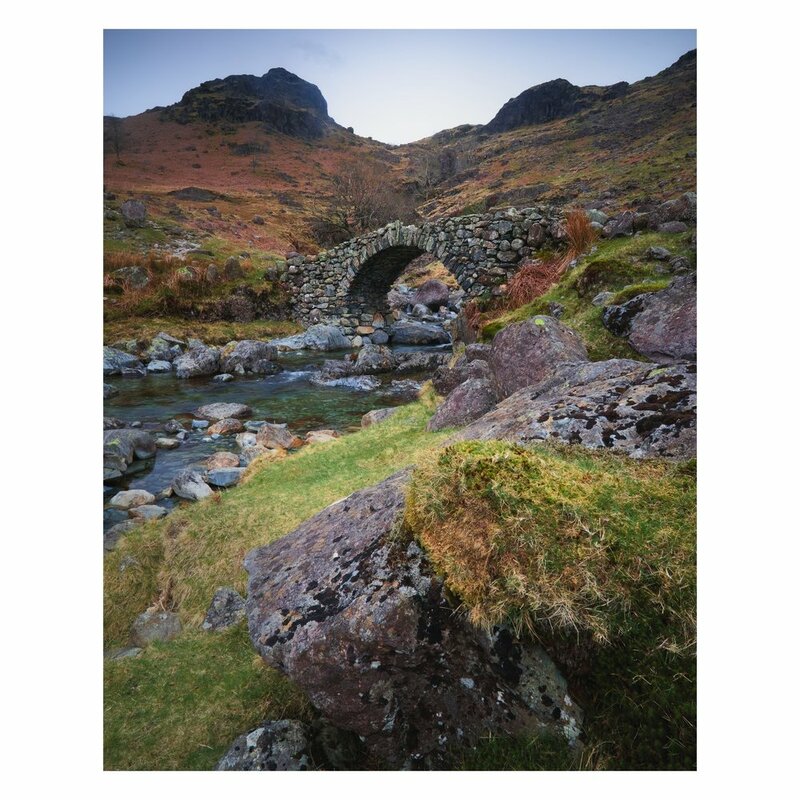 At the head of Upper Eskdale you can find this delightful 19th-century packhorse bridge known as Lingcove Bridge, with the two dark crags towering above. Upper Eskdale is one of my favourite valleys in the Lake District; it has an almost wild and forgotten atmosphere, and—happily—tends to be inhabited only by the native Herdwick sheep. Spring isn't complete without daffodils and the Lake District is fairly well known for them, largely because of Wordsworth's poetry. I've previously made compositions from Wordsworth's patch of daffodils along the shores of Ullswater, but this year I wanted to find somewhere different. 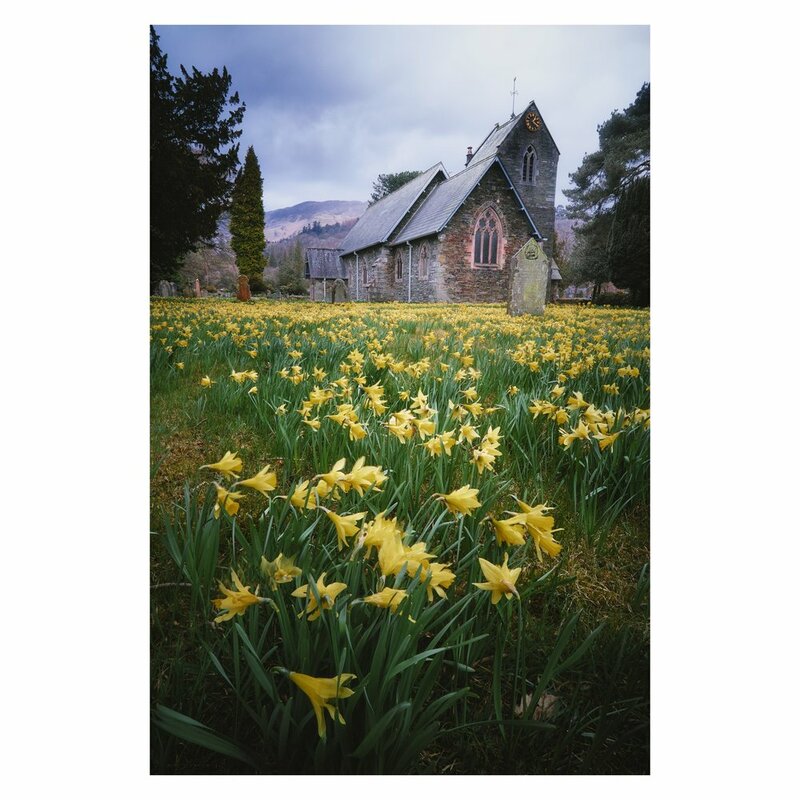 In the grounds of the Church of St. Patrick, Patterdale (built in the 1800s to replace a 14th-century chapel), one can find the church yard carpeted in daffodils. I've been to Wasdale many times. It's my Happy Place. 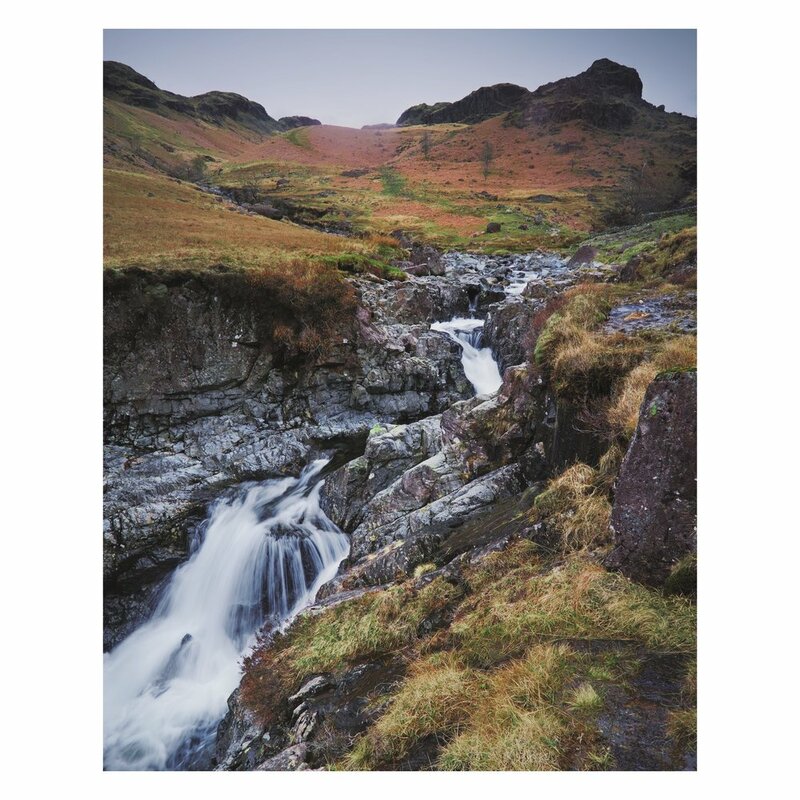 But even after all these years I had never checked out Ritson's Force, a series of powerful falls dropping out of Mosedale to join Lingmell Beck in Wasdale. The water here is crystal clear, which I was able to reveal with the aid of a polariser. In the distance, clouds tussle with the southeastern wall of Pillar (892m/2,927ft). If you're in the North of England and you want waterfalls your best bet would probably be the Yorkshire Dales. 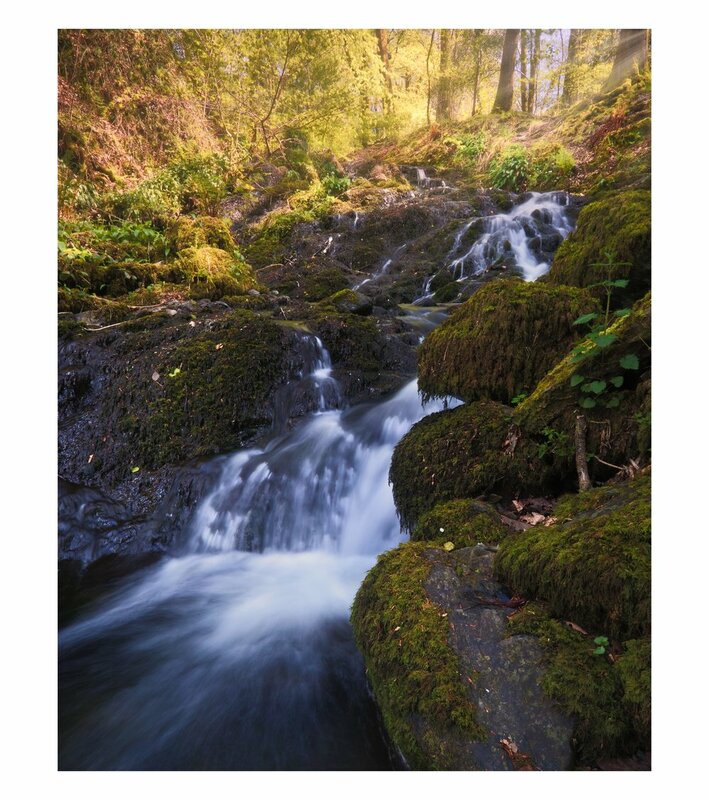 But Cumbria has its fair share of gorgeous cascades too, such as Stockghyll Force, above, in Ambleside. In times gone by these 70ft falls powered twelve watermills that helped make bobbins, processed fabrics, paper, and ground corn. At the top-left of the image you can see a person viewing the falls from the other side of the gorge, inadvertently acting as my composition's sense of scale. 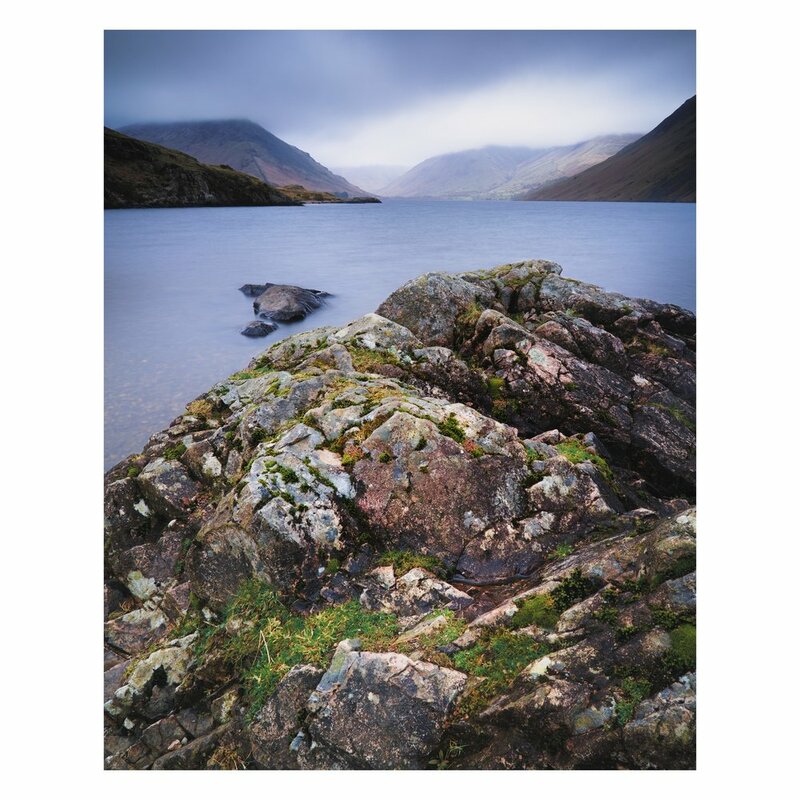 Understandably, if you're hiking around Wasdale then it's likely your focus will be the lake, Wastwater, or the valley's fells, being some of England's highest. There are other places to explore though if you want to get away from the well-trodden path. 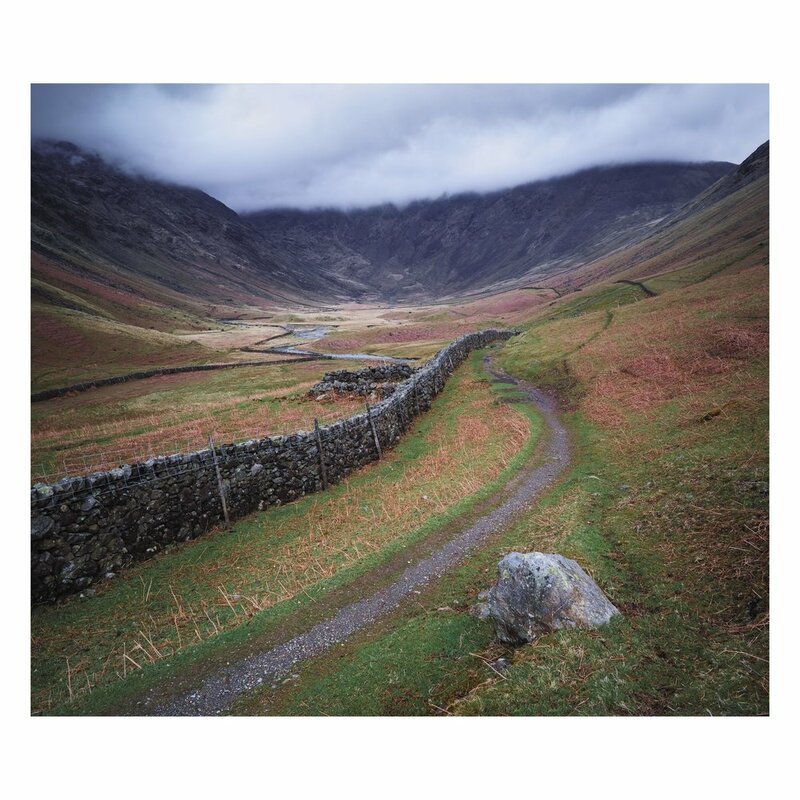 Northwest of Wasdale you can find a subsidiary valley called Mosedale, an empty and beautifully sculpted glaciated dale that looks towards the imposing wall of Pillar and Steeple (819m/2,687ft). Before you get to Lingcove Bridge in Upper Eskdale I implore you to explore the valley's abundant powerful waterfalls, particularly Vicar Swa falls in the image above. As the Esk tumbles down from Great Moss above it scours a variety of narrow pots and dubs where the river suddenly drops into these falls. Upper Eskdale is full of 'em and look particularly accessible for a bit of outdoor swimming. I'd been to St. Bees before in West Cumbria but never climbed the cliffs that dominate the village, St. Bees Head. Recently, Lisabet and I managed to do so. The promontory is split into two, South Head and North Head, and in between them lies a secret shingle bay called Fleswick Bay. This place is accessible only by foot or from the sea. 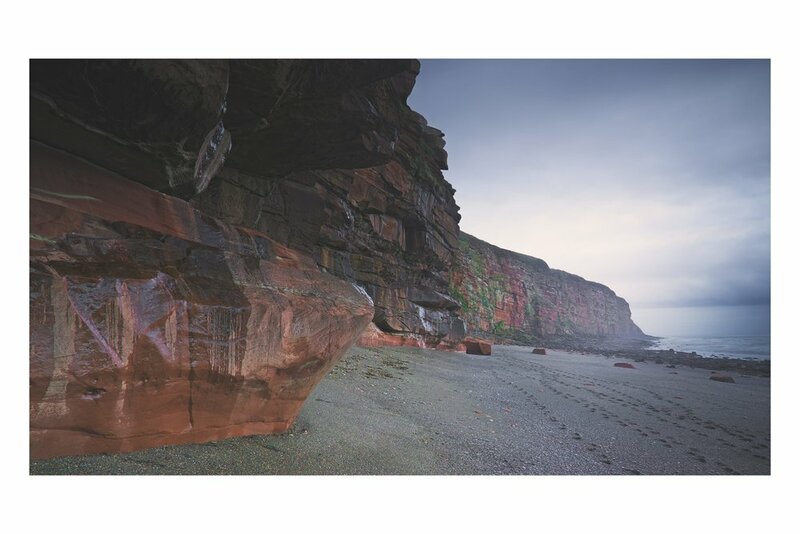 The geology here is fascinating, being surrounded on either side by giant 200million-year old sandstone cliffs that you gawk at whilst stumbling through the ankle-deep shingle. I found these sandstone platforms that had been weathered for millennia by the sea, forming rocky waves of their own. The Vale of Lorton is a large multi-faceted valley in the Northwest Lake District containing three lakes, two of which I've explored quite a lot of already: Crummock Water and Buttermere. 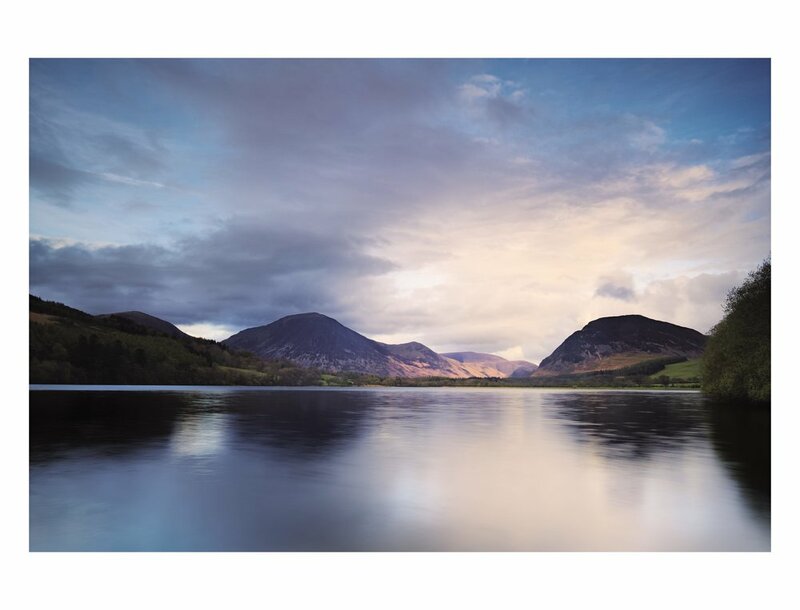 But the third lake—Loweswater—is arguably the least visited of the three. From the woods of its southwestern shore you can enjoy this gorgeous view of two prominent Lorton fells: Grasmoor on the left (852m/2,795ft), and on the right, Mellbreak (512m/1,680ft). The upper falls of Ritson's Force and its plunge pool; these can be found a short walk from the Wasdale Head Inn as you're heading into Mosedale. 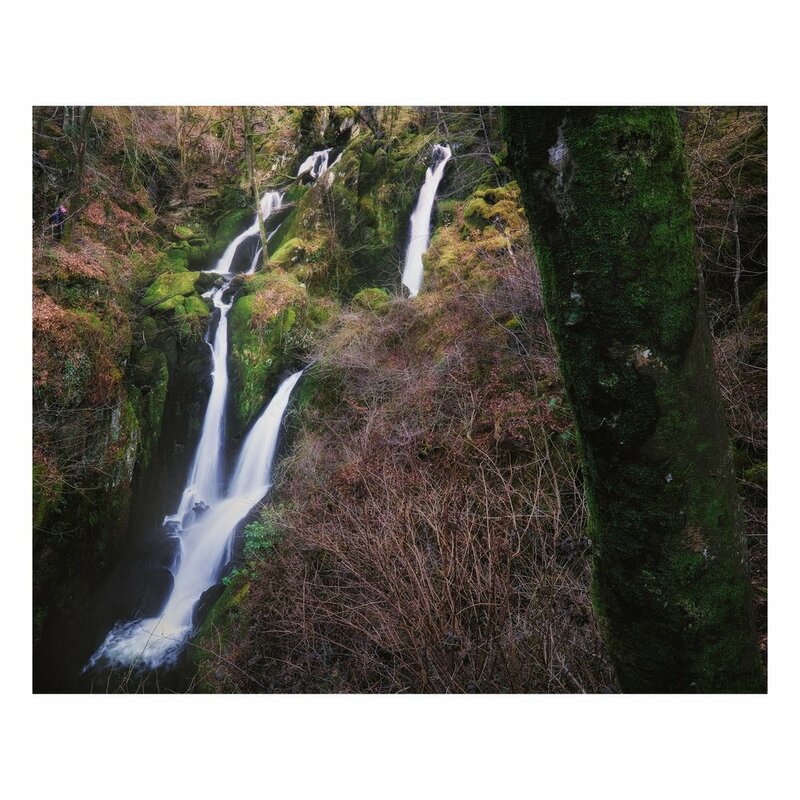 The name of the waterfall has two components: it's named after Will Ritson, the 19th-century landlord of the Wasdale Head Inn, which now hosts the annual World's Biggest Liar competition in his honour; and the word "force" comes from the Old Norse foss meaning waterfall. 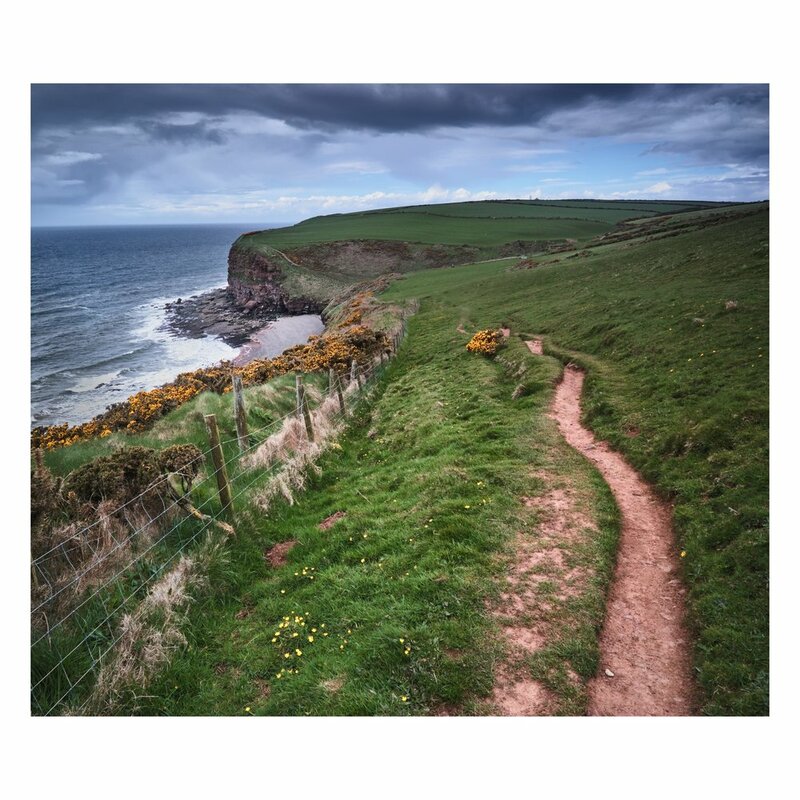 The clifftop path on St. Bees Head. This is where the route starts to drop down into the gorge that separates the two Heads of the cliff, and then opens out into Fleswick Bay. You can just make out St. Bees lighthouse in the far distance on the North Head. The cliff seems to host an abundance of gorse, a thorny evergreen bush that grows vivid yellow flowers in the spring. I also realised on this hike that gorse smells strongly of coconut/sun lotion. 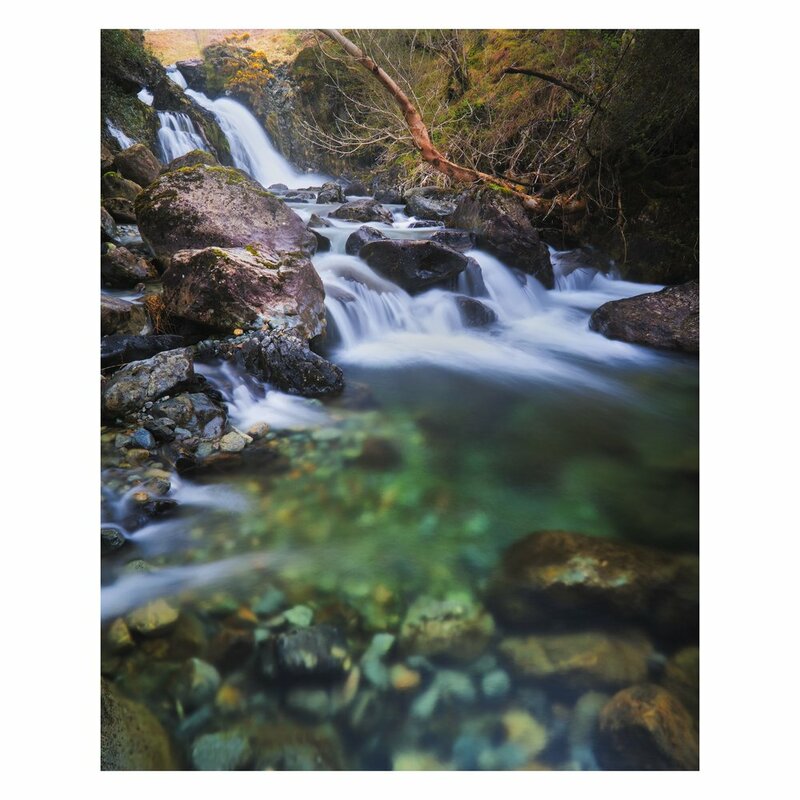 It's possible to get up-close and personal with the top of Stockghyll Force in Ambleside, just make sure you've got a steady foot. When we hiked this gorge the day was rather hazy, producing a soft light that was perfect for shooting waterfalls. However, upon scrambling down to get to this view of Upper Stockghyll Force the sun finally broke through and illuminated the whole scene in golden light. The classic view of Wasdale, from the shores of Wastwater looking towards the fells, from left to right: Yewbarrow (628m/2,060ft), Great Gable dead centre in the distance (899m/2,949ft), Lingmell (807m/2,648ft), Scafell Pike (978m/3,209ft), all obscured by hill fog. This shot was focus stacked from six exposures for excellent clarity throughout. As ever, my processing arsenal consists of Sigma Photo Pro, Capture One, and Photoshop. I'm not sure I'll ever tire of this view. A hasty and wide composition of the fascinating sandstone cliffs of St. Bees Head, shot from Fleswick Bay just as the rain was starting to fall. The way the cliffs are structured puts me in mind of towers of Jenga, or perhaps Lego. I definitely need to visit this place again when I have more time. A few weeks ago, after checking out a new café in Bowness-on-Windermere, Lisabet and I decided to take the more scenic walk back to our car. This meant coming off Rayrigg Road and heading towards the shore of Windermere. Between Bowness-on-Windermere and Queen Adelaide's Hill is a little hiking area called Rayrigg Meadow that then becomes Millerground Landing. 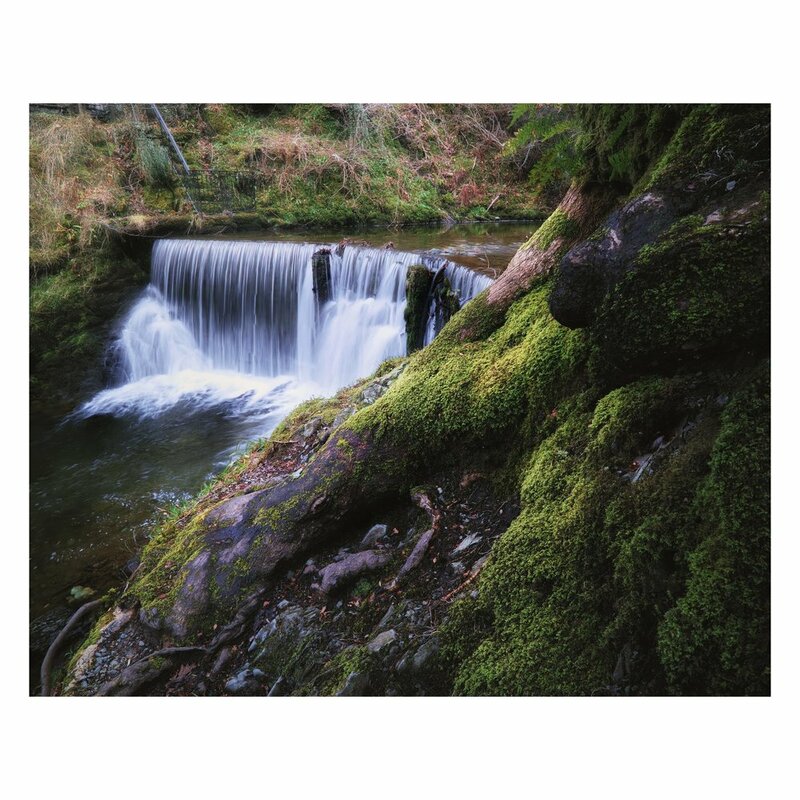 As you scale up Millerground to get back to the main road you walk alongside this delightful little cascade on Wynlass Beck, surrounded by wild garlic. The Lake District has quite the industrial past alongside its long-established agricultural history. Quarrying was a key earner in Victorian Britain and the Lake District was no different. 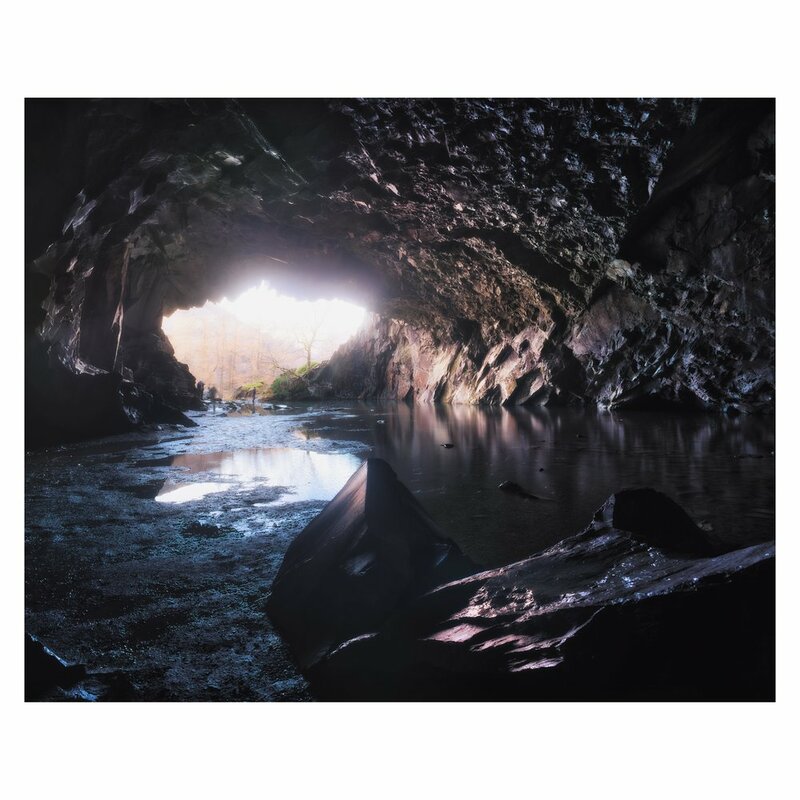 The shot above was taken from deep inside Rydal Cave, a man-made quarry hollowed out from a crag on Loughrigg Fell. The cave provided high quality slate for local villages. It's still not advised to go inside the cave as boulders keep dropping from the ceiling. Nevertheless, it's a magnificent ampitheatre. A more expansive composition of Fleswick Bay's sandstone formations, covered in sea foam, looking out across the Irish Sea. 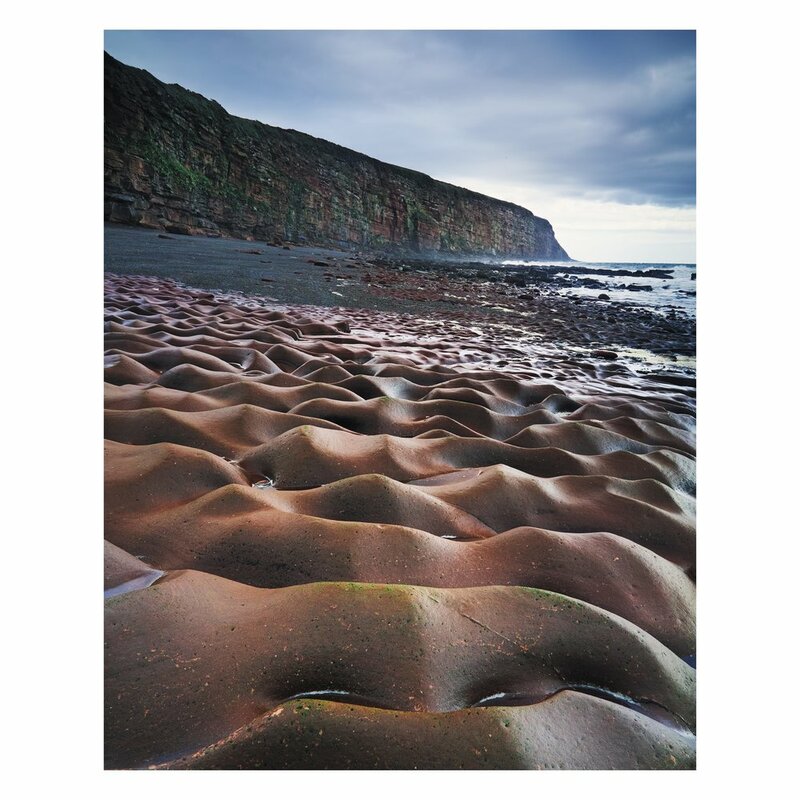 It's definitely better in my view to explore Fleswick Bay at low tide when these intriguing formations among others are revealed. You can see the rain clouds building up in the distance that would later drift over our way, providing us with a gentle shower that signalled the end of our photography here. 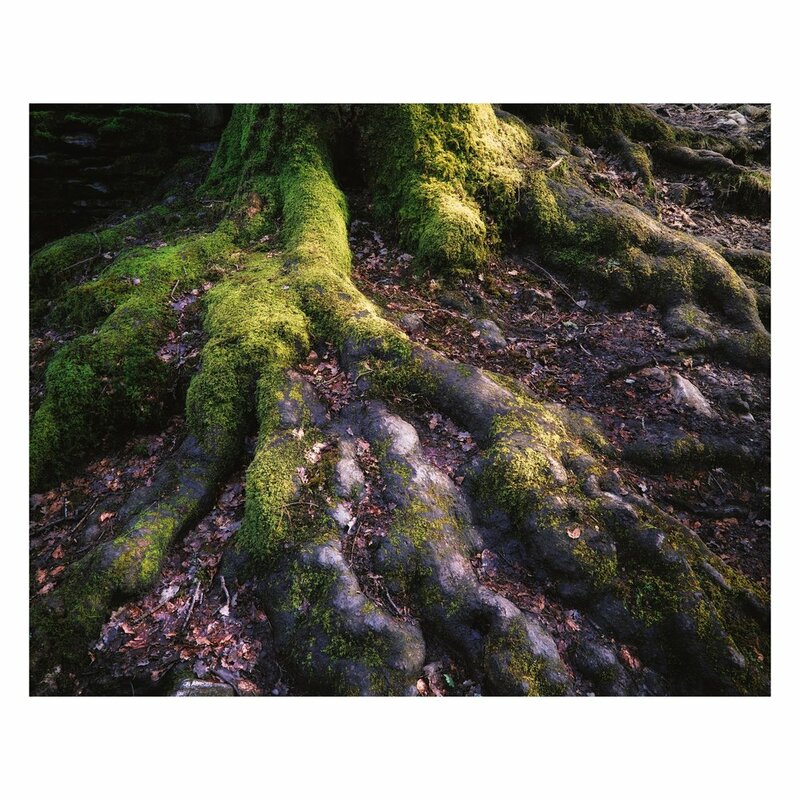 Late afternoon light gently caresses these exposed tree roots on our hike around the gorge that houses Stockghyll Force in Ambleside. The passing of seasons are evident in this composition, from the dead and crusty autumn leaves that litter the nooks and crannies of the tree roots, to the vivid moss that is revived in spring. 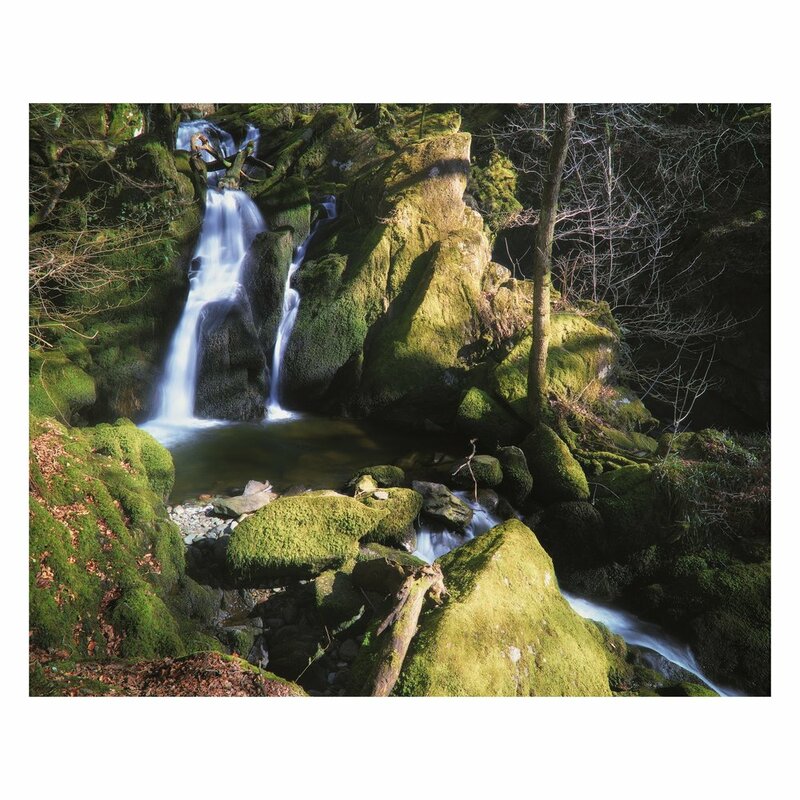 A more intimate view of the cascades of Wynlass Beck, found in the grounds of Millerground Landing, Bowness-on-Windermere. The woods around here are covered in wild garlic; it'll be good to revisit this place again in a week or so when all the garlic will sprout delicate white flowers. Another delightful area of Cumbrian coast can be found at Sandscale Haws Nature Reserve near Askham-in-Furness on the Furness Peninsula. As opposed to Fleswick Bay's towering sandstone cliffs, Sandscale Haws is more about pristine white sandy beaches and dunes. Not to mention the incredible view across the Duddon Channel towards the Scafell range. On this particular day we enjoyed a long walk on the beach, enjoying the strange light conditions as dark stormy clouds built up above us whilst the sun blazed at our backs. The winter of 2017/18 has been particularly harsh and protracted this year. March saw the arrival of three Siberian weather fronts, dubbed the "Beast From The East", bringing -10°C temperatures and house-sized snow drifts. April wasn't much better, with temperatures barely above 10°C and plenty of rain (though a mini-heatwave from the 18th to the 21st saw temperatures nearly hit 30°C down south). And yet, time relentlessly pushes on. The daffodils came, the grass grew, and the year's new lambs arrived, their tiny bleats echoing around the dales and fells. Spring is one of my favourite landscape photography seasons, largely because of the welcome pop of colour from all the flowers and fresh grass. The red bracken covering the fells slowly give way to the yellows of the grass and the greens of the ferns. Snow melting from the fells sees crystal clear water rushing through the becks. It's a time of relief from the long winter. You can feel the landscape take a deep breath and stretch its limbs.